During a particularly tough emotional time last year, I did not spend much time listening to music (not a good thing for a reviewer.) 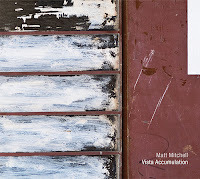 The album I did listen to a lot was "Vista Accumulations", pianist and composer Matt Mitchell's stunning double album for Pi Recordings. Not because the music was soft and reflective (much of it is not) but because of the way the Quartet - Mitchell, Chris Speed (tenor saxophone, clarinet), Chris Tordini (bass), and Dan Weiss (drums) - moved through the pianist's compositions, how they interacted with each other, and how the music was built upon a framework of myriad influences yet sounded like itself (above all else). This Friday (October 28), the Matt Mitchell Quartet will come to New Haven to perform in the Fall 2016 Concert Series at Firehouse 12, 45 Crown Street. They will perform 2 sets - 8:30 and 10 p.m. - featuring the music from "Vista Accumulations." Another one of the reasons the album sounds so good is how alive the music sounds. I imagine the Quartet sounds even better in person. For ticket information, go to firehouse12.com or call 203-785-0468. To fond out more about this very busy musician - he is a member of Tim Berne's Snakeoil, Rudresh Mahanthappa's Bird Calls, the Dave Douglas Quintet, and works with artists such as , saxophonist Darius Jones, John Hollenbeck, and multi-reed artist Anna Webber (see below) - go to www.mattmitchell.us. As stated above, Mr. Mitchell works with Anna Webber, the saxophonist, flutist, and composer from British Columbia, Canada. 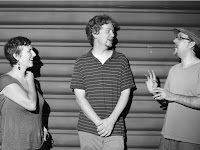 Along with another one of the collaborators mentioned above, drummer and percussionist John Hollenbeck, they make up Anna Webber's Simple Trio, named for the ensemble's "SIMPLE" CD released by Skirl Records. Skirl has just released the Trio's second effort "Binary" and it's a powerful followup to the group's debut album. The saxophone-piano-drums trio is an interesting blend not often heard bit it works wonderfully with these musicians. The 12 tracks, all composed by Ms. Webber, blend short and long pieces, most with a sense of urgency that pins the listener to the chair. Half the tracks are short (none over 3:35 and four under 2 minutes) "Rectangles" which could be group improvisations. Several, including "Rectangles 3a" and "Rectangles 3c", are powerful statements, built upon the insistent rhythms the trio creates. Yet "Rectangles 1a" that closes the program is a very quiet but still jarring tenor sax-led ballad. The other six tracks include three over 9 minutes. "Impulse Purchase", the longest at 14:30, is a multi-sectioned piece that opens with solo tenor sax playing a breathy circular melody until Mitchell joins playing counterpoint and a shape begins to emerge. Hollenbeck joins in and the piece begins to morph. It's great fun to follow the trio as the music shifts in intensity, the pianist's powerful chords creating a storm beneath the saxophone which, of course, does not last as the musicians seem to tug and fuss with the melodic and rhythmic center. The high-energy "Underwhelmed" (ironic title) jumps right out of the gate to the strength of the drums and the pianist's two-handed attack (notice how Hollenbeck plays the melody at times and how Ms. Webber can create such percussive saxophone riffs). The tenor and piano play gleefully atop the energetic beat. The fragmented nursery-rhyme feel at the onset of "Tug O' War" features a circular melody played by all three (Ms. Webber on flute). Inevitably, the music changes direction, becomes quiet, even introspective (great brush work in the background) until the pace changes and the trio reprise the opening but that settles down quickly. The title track opens as a ballad but the trio keeps pushing at each other until the music reaches a boiling point (powerful tenor sax work from the leader). Listen - that's what you need to do - "Binary" is filled with music that has an urgency that gets under your skin. Anna Webber's music is anything but "Simple", especially in the hands, hearts and minds of John Hollenbeck and Matt Mitchell. 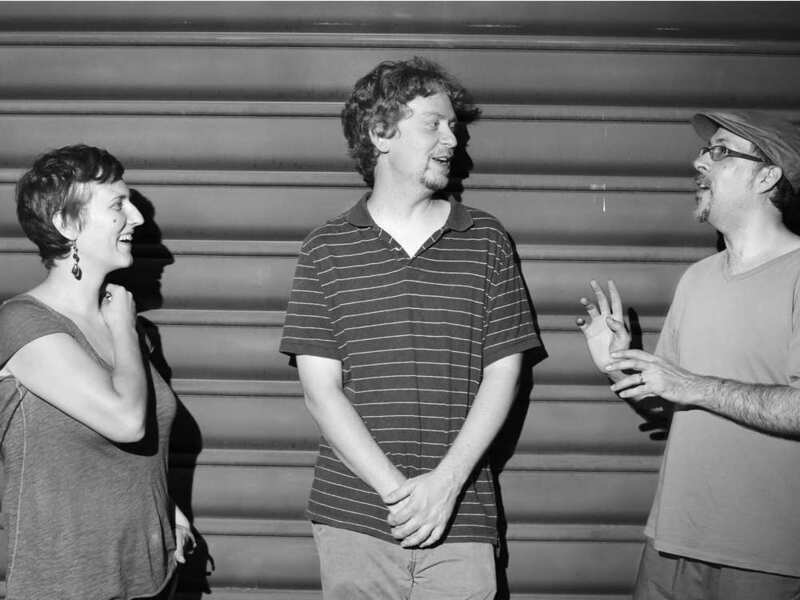 There are moments when the musical interactions remind this listener of Trio Air (Henry Threadgill, Steve McCall, and Fred Hopkins) and one is tempted to write that this music is influenced by the AACM of the 1970s. Yet, one can hear 21st Century rhythms in the work of the drummer and, occasionally, a minimalist bent. All that to say that this is one stunning recording. Play it loud, let the house shake and the music reverberate, let "Binary" push you away from complacency into action. For more information, go to www.annakristinwebber.com or skirlrecords.com/anna-webber/. Guitarist Michael Musillami and bassist Rich Syracuse are both veterans of the music, putting in decades of travel, recording, practice, and teaching. Yet, they did not begin playing together until 2015. 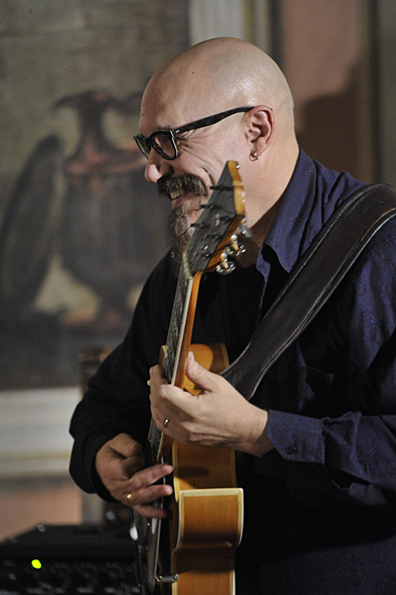 The guitarist has spent the last 2 decades at the helm of Playscape Recordings, touring with his trio of Joe Fonda and George Schuller, augmenting them with guest soloists. The bassist is best known for his long associations with baritone saxophonist Nick Brignola and pianist Lee Shaw. Musillami and Syracuse just released their debut album, "Of The Night: the Music of Wayne Shorter" (Playscape) and it's quite a charmer. It's the second excellent recording of Mr. Shorter's music released in the last few months - Denny Zeitlin's "Early Wayne" being the other - and illustrates just how influential a composer the saxophonist is. Miles Davis gets plenty of credit for the music he created in the 1950s and 60s (deservedly) but one feels that the compositions of Mr. Shorter will inspire musicians for generations to come. Why? Because of the open quality of the pieces. Listen to 13 minute "Footprints" that opens the duo's album. Notice how the guitar and bass converse, how they play with and support each other and also play counterpoint to each other. The expansive melody line and the chordal blueprint opens up so many exploratory avenues for these musicians and they do waste any opportunities. That's what happens throughout the recording. The duo explores these works from different angles, such as the Mediterranean-sounding ballad "Black Nile" (from 1964's "Night Dreamer" Lp), the fulsome bass chords allowing the guitarist to lift off from the melody. "Iris" (first recorded by the Davis Quintet on "E.S.P") is a lovely ballad, the dialogue including a handsome guitar solo over as slow, rolling. rhythm. Mr. Shorter composed "One By One" for the Art Blakey Jazz Messengers in the early 1960s - here, the powerful hard-bop piece gets a bluesy overhaul, the swinging "walking" bass lines pushing the guitarist to let loose but he stays "cool" and under control. "Virgo" (also from the "Night Dreamer" Lp) is a slow blues that closes "Of The Night." The slow tempo allows both musicians to create melodic solos that tale their time to develop. Musillami makes the most of his time, creating an emotionally rich and impressionistic solo that stretches over four minutes. Syracuse's solo is 1/3rd the length, mostly in the upper register of the bass, yet does not feel tacked on or obligatory but more like an energetic response to the guitar solo. "Of the Night" has the feel of a late-night session but one that the participants had been thinking about for a while. Michael Musillami and Rich Syracuse are certainly veterans but they play with the joy and energy of musicians half their age. Doesn't hurt that their explorations take place in the world of Wayne Shorter, a composer and musician whose music has inspired players and listeners for over five decades, music that opens so wide it allows for many different interpretations. This is a delightful album that will yield many hours of listening pleasure. For more information, go to playscape-recordings.com. Pianist and composer Nick Sanders met saxophonist and composer Logan Strosahl 10 years ago when both were students at the New England Conservatory of Music in Boston. 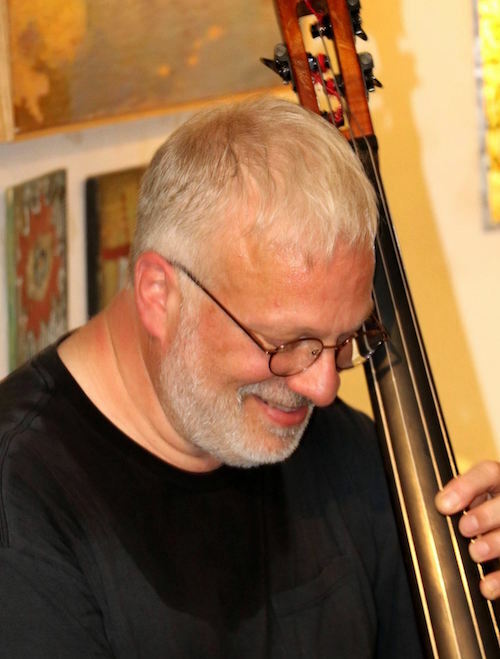 Sanders' Trio has issued two acclaimed CDs on Sunnyside Records and served as the rhythm section for Strosahl's 2015 debut for the label. 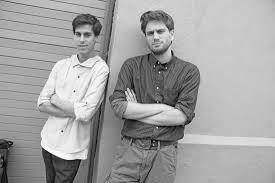 "Janus" (Sunnyside) finds the duo in a playful mode playing program that includes classical works from 14th Century France, a work each from Thelonious Monk and Hoagy Carmichael, the standard "Old Folks", pieces from Messiaen and Couperin, plus several originals. Both musicians keep melody foremost even on up-tempo pieces such as "Be-Bop Tune", an original credited to both of them. Strosahl's title composition finds him swinging a la Lee Konitz as Sander's struts below him. The Monk tune, "Thelonious", also jumps with glee with Sanders backing work a mash-up of various 20th Century styles, from boogie to swing to mainstream and on. The tenor solo rises up from the melody and takes off on a sprightly romp. "Mazurka", also composed by the saxophonist, is an off-center waltz, plenty of stops and starts plus a splendid melody that both musicians play. Strosahl overdubs alto and tenor for the opening section of "Rose, Liz, Printemps, Verdure" composed by Guillaume de Machaut, a medieval composer and poet from France. The interplay of piano and saxophone, especially in the closing minute as they both move through the melody contrapuntally, is such a delight. Messiaen's "Selections from Vingt Regards Sur L'Enfant Jesus" is darker yet more expansive, Strosahl's tenor solo, gruff at times and sweet at others, moves through the thick piano chords. "Stardust" features a "floating" piano accompaniment to Strosahl's breathy tenor, sounding like both Coleman Hawkins and Ben Webster. The solos are so gentle, hewing close to the melody, with genuine emotion as opposed to schmaltz. That leads into the album closer, the delightful "Les Amusemens" from François Couperin. The lovely baroque melody (the composer wrote in the late 17th and early decades of the 18th Centuries) has an intoxicating forward motion and the musicians play it with grace. "Janus" is an album that reminds one that good music is ageless and that musicians who approach with open minds and ears (and plenty of talent) can make it sound new again. 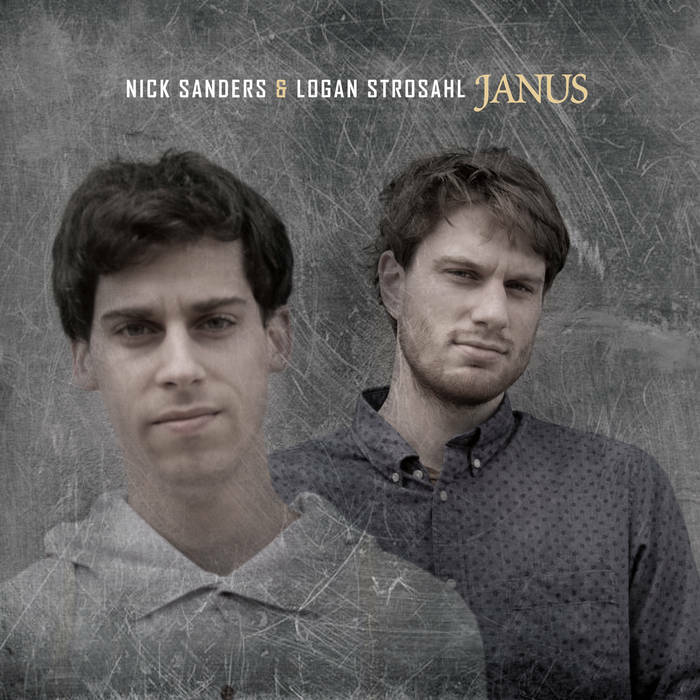 Nick Sanders and Logan Strosahl are that kind of musicians and this album does feel fresh and alive. Buy a copy for yourself and give this recording as a gift because the music is so compelling and joyous. For more information, go to nicksandersmusic.com or www.loganstrosahl.com. As one of those listeners who came to age in the post-John Coltrane era and the early years of the AACM, one would hear a number of recordings featuring drums and saxophones. 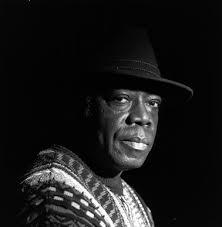 Andrew Cyrille (born 1939) was right in the midst of that musical revolution working and recording with fellow drummer Milford Graves, with vibraphonist Walt Dickerson and, most notably, pianist Cecil Taylor. It's easy to hear Mr. Cyrille as a descendant of Max Roach although his most famous teacher was the great "Philly" Joe Jones. Both Jones and Roach were "story-telling" drummers, musicians who could most certainly keep time but also added so much to the thematic sections of songs and beneath the soloists. The drummer and composer, who turns 77 in November, remains busy not only with his own groups but also as a member of Trio 3, an ensemble with Oliver Lake and bassist Reggie Workman. He has two albums this month, one with his Quartet on ECM and "Proximity" (Sunnyside), an adventurous duo recording with tenor saxophonist Bill McHenry. The date grew out of a June 2014 Village Vanguard gig featuring McHenry's Quartet - the drummer and the leader played one night as a duo and had such a great time (as did the audience) that they went into the studio 5 months later. The results will remind older aficionados of those halcyon days of the 1970s and serve to educate younger listeners to the power of two. Four of the 11 tracks are improvisations, two (including the title track) are Cyrille originals, and there is one each from drummer Don Moye and pianist Muhal Richard Abrams. Both men play with poise, joy, fire, and create a program that resonates. McHenry, 33 years younger than his musical partner, is one of those musicians who fits into almost any musical setting. His solos have a wonderful logic, even as they dance around the rhythms. He never forces anything and, when you pay attention, one hears a big, full, tone but a light attack. As for Mr. Cyrille, he never wastes a sound or a beat. His time is impeccable, he both leads and follows, he can be forceful as well as make the listener lean forward to hear his sounds. Without going into specific songs, you should just start at the beginning and listen all the way through. There is plenty of music, strong melodies, spicy solos, and splendid dialogues throughout. 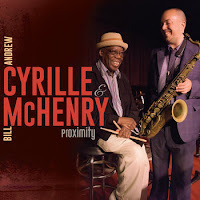 Andrew Cyrille and Bill McHenry create musical magicians and "Proxmity" is a treat for sore ears. Here is a link to the title track: sunnysidezone.com/track/proximity. If ever an album needed a video of the performance, "Duet" by pianist Satoko Fuji and bassist Joe Fonda (Long Song Records) is one. Not that the music the duo performs is not strong on its own but it would be enhanced by watching the musicians playing and interacting. Personally, I have seen Mr. Fonda play numerous times and there are few people I have seen who are as "one with their instrument" as he. If you listen closely to this recording, you can hear him breathe and occasionally sing. This is a recording of the first time Ms. Fujii and the bassist ever met and played together. They certainly knew each other's works and sense of adventure so it comes as little surprise that this performance goes in so many directions and never loses it's focus. The first cut, "Paul Bley", is 37:32 seconds of powerful music, with both musicians really digging in, pushing each other to go deeper, to take musical chances - the closing moments are simply beautiful. The second track, "JSN", adds the pianist's husband Natsuki Tamura on amplified trumpet to the duo. Also totally improvised, it's a meditative piece, moving out of its rubato interaction of trumpet and bass into a poetic piano melody supported by the full bass tones. The trumpeter plays quiet bells in the background and slowly the intensity rises with the insistent piano pushing the others to raise the volume. Later on, Ms. Fujii plays inside the piano as her husband creates a sonic storm and Mr. Fonda moves to flute. The piece fades out at just over 11 minutes. 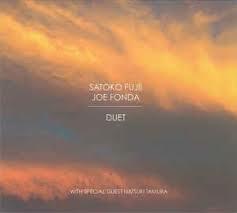 Satoko Fujii and Joe Fonda meet for the first time yet their mature and and adventuresome musical interactions sound as if they have been together on the bandstand for decades. Because both musicians have long careers creating challenging and rewarding performances, they trust each other to be "free" and honest. For more information, go to www.longsongrecords.com. The Firehouse 12 Fall 2016 Concert Series rolls along in fine fashion; this week (10/20), the big wooden door opens to welcome the Claudia Quintet. 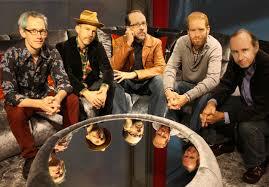 The Quintet, now in its 20th year, has been the main vehicle for the music of drummer John Hollenbeck. The lineup - Chris Speed (reeds), Drew Gress (bass), and Matt Moran (vibraphone) - has had only one change in its existence and that's when Red Wierenga replaced accordionist Ted Reichman six years ago. Chris Tordini has subbed for Gress on several tours and also appeared on four of the 10 tracks on 2013's "September" CD. The music CQ creates has so much to offer the listener, whether one like melodies or percussion driven music, minimalism or incredible interactions. All that and more will on display in the Elm City performance venue. The group is touring in support of its latest Cuneiform CD, "Super Petite", a collection of shorter tunes (only one of the eight tracks is over six minutes. Claudia Quintet plays two sets - 8:30 and 10 p.m. (separate admission charges) - for more information, go to firehouse12.com or call 203-785-0468. Here's a "super" group if ever there one existed. 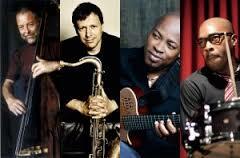 Bassist Dave Holland, drummer Eric Harland, guitarist and vocalist Lionel Loueke plus saxophonist (tenor and soprano) Chris Potter first got together in the summer of 2015 and had so much fun on tour that the bassist brought the quartet into Sear Sound in September of that year. 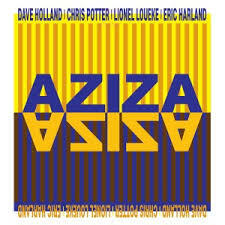 The results of the two-day session can be heard on "Aziza" now released on Holland's Dare2 Records. During that tour, everyone contributed songs to the playlist and the CD presents eight of them, two by each musician. The program opens with Loueke's "Aziza Dance" (from whence the group got its name - read how here), a funky ditty introduced by the guitarist's percussive riffs, Holland's deep bass notes, and Harland's nasty 4/4 drums (the music hearkens to back to Herbie Hancock's Headhunters "Chameleon.") The drummer pushes the piece right along, allowing his rhythm section to keep the time while he fits about under the soloists. Potter's piece "Summer 15" rolls lightly above the "St. Thomas"-like rhythms created by his three partners. His soprano sax phrases dance delightfully over the Island sounds. After Loueke's lilting spot, Potter moves over to tenor and does another type of dance, still swaying but with a bit more muscle. Aziza balances its more powerful tendencies with a softer side that is equally attractive. "Walkin' The Walk" feels more like a stroll in the late afternoon sunlight and the bassist, who also composed the piece, takes the opening solo before Potter gives the piece a bit more punch as does Harland on his powerful solo. His piece "Aquila" opens as a ballad yet picks up speed and intensity as its rolls along. Potter's other contribution, "Blue Sufi", is the longest work of the 74+ minute program, clocking in at 13:40. After a wondrous tenor sax "call to prayer" introduction, the rest of the group enters and the piece evolves into an uptempo adventure with melodic and rhythmic links to South Indian music. Again, it's Holland's powerful foundation that opens up Harland's robust drumming. There are moments in Loueke's chord-laden solo that may remind some of the work of Sandy Bull (1941-2001) and, all of a sudden, the solo (the guitarist employs an organ-like tone throughout the song. You'll love the interaction of Potter and Harland during the tenor solo as well how Holland's bass spotlight builds off the saxophone melody and the powerful underlying rhythm. This splendid album closes with Loueke's rip-roaring "Sleepless Night"; from the opening guitar and drum interaction that leads to the guitarist's overdubbed vocal rendition of the melody to his squalling call-and-response with Potter, the song careers forward but never loses its focus. Harland's rabble-rousing drums take the album out on a raucous yet satisfying series of high notes. 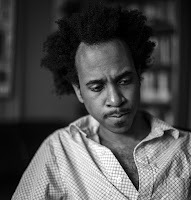 Aziza will be touring through the United States and Europe from mid-October through mid-November in support of the its debut album. Go to daveholland.com/events to find out more. If you can't get to any of the dates, get the album, turn it up loud and bask in its musical glory. This recording is a delightful panacea to the venomous election cycle in the United States and the horrific news from elsewhere. Great sounds from four players who give their all, having fun while exploding genres. American music is filled with iconoclasts and storytellers as well as hacks and posers. Wadada Leo Smith belongs to the initial group listed above, having created some of the most fascinating music of the past 5 decades. His trumpet sound hearkens back to Buddy Bolden and Louis Armstrong, a bright sound that often rises above his ensembles. His latest adventure, "America's National Parks" (Cuneiform Records), is a poetic look at the United States through the land it preserves, one of its greatest rivers, a multi-national and racial port city, and an African-American musicologist who worked to preserve the "folk" music of the country. 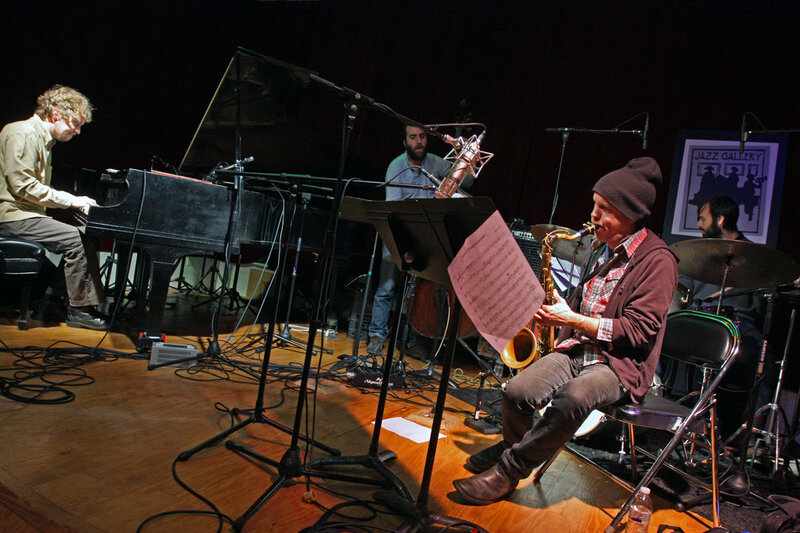 The 98-minute double album features Smith's Golden Quintet of Anthony Davis (piano), John Lindberg (bass), and its newest members, drummer Pheeroan akLaff and cellist Ashley Walters. The program opens with "New Orleans: The National Culture Park 1718" - the date is important as that was the year the city was founded by Jean Baptiste Le Moyne de Bienvelle. akLaff's drums are quite prominent in the mix, perhaps reminding some of a funeral procession but also this serve to remind the listener of the importance of the drum in both African and African-American society. In this piece, the drums often serve to change the mood, play counter-melody, and to push the band forward. "Eileen Jackson Southern, 1920-2002: A Literary National Park" is dedicated to one of the pioneers of musicology (find our more by going to www.blackpast.org/aah/southern-eileen-jackson-1920-2002). The music is elegiac, quiet, muted trumpet, yet picks up in intensity as the interactions move forward. Other compositions pay tribute to Yosemite National Park, Sequoia & Kings Canyon National Parks, YellowstoneNational Park all circa 1890 plus the 31-minute plus "The Mississippi River: Dark and Deep Dreams Flow the River - a National Memorial Park circa 5000 B.C." The final composition is the first piece on the second disk and demands that you listen all the way through. The opening 10+ minutes move at a pace not unlike a Morton Feldman composition; then one hears blues phrases creep into the bass lines but the piece still has a languid tempo. At the halfway mark, the band fall into that earlier blues line, the drums really pushing the trumpeter forward. Several minutes later, Mr. Lindberg and Mr. Davis solo over the frenetic drumming and the pulsing cello. The group drops out for an unaccompanied cello solo and, then one by one, the other musicians return and the piece returns to the pace of the opening 1/3rd but with more intensity. 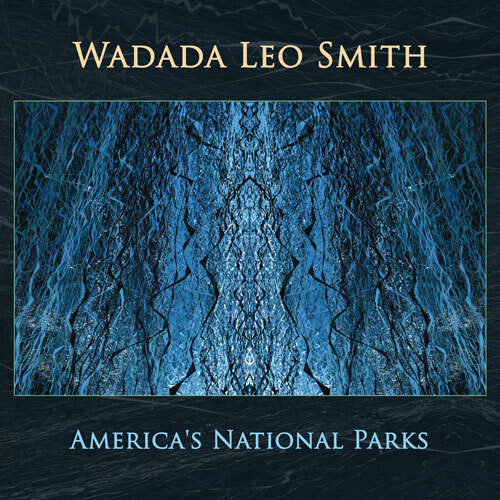 The release of "America's National Parks" coincides with the 100th anniversary of the establishment of the National Parks Systems and Wadada Leo Smith's 75th birthday (in December). The last five years have been among the most productive and rewarding time of the trumpeter and composer's life. 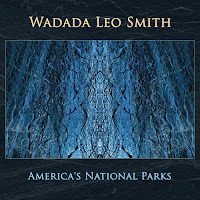 Like a National Park, Wadada Leo Smith is one-of-a-kind, an amazing son of the Mississippi Delta who has created his own musical system, has celebrated his elders while creating his own lasting compositions, and who has traveled the world, collecting and synthesizing the many sounds he has heard and continues to hear. In his own words, this new collection of compositions and performances illustrates that "My focus is on the spiritual and psychological dimensions of the idea of setting aside reserves for common property of the American citizens: those who have passed on before, those who are here in the present, and those who will come in the future." This music celebrates people, cities, nature, rivers, canyons, and, through performances, the art it inspires. For more information, go to www.wadadaleosmith.com and to www.cuneiformrecords.com/bandshtml/smith.html. 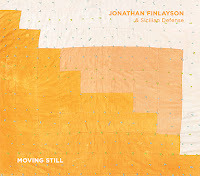 "Moving Still" (Pi Recordings) is the second album from trumpeter and composer Jonathan Finlayson & Sicilian Defense. 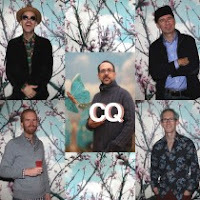 The quintet, named for a chess move, features guitarist Miles Okazaki, pianist Matt Mitchell (who seems to be ubiquitous at the moment), bassist John Hébert (also very busy), and drummer Craig Weinrib - only Okazaki was featured on Finlayson's 2013 debut "Moment and the Message" (also on Pi). 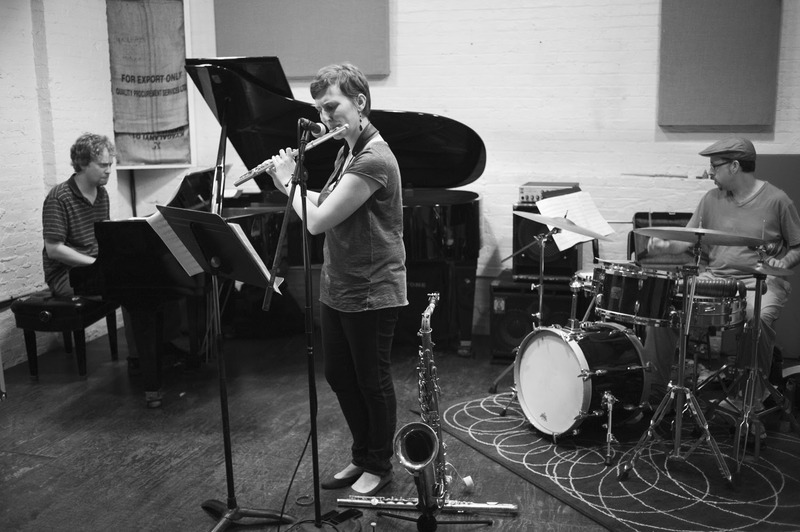 Finlayson, who first came to notice at the age of 17 playing in saxophonist and conceptualist Steve Coleman's ensembles at the turn of the new Millennium, is also a busy musician, working with guitarist Mary Halvorson, Steve Lehman, Muhal Richard Abrams and others. His original music incorporates many different styles and you will go crazy looking for his influences as he has well on his way to his own "sound." One will notice the urgency in much of these performances. Even though the opening three tracks start with unaccompanied statements (by Okazaki, Weinrib, and Mitchell respectively), the music builds in intensity on each track, creating a palpable sense of tension. "All of the Pieces", at 11:16 the longest track, opens the album and, initially belongs to the guitarist with the leader only playing the "head" before Okazaki steps out. 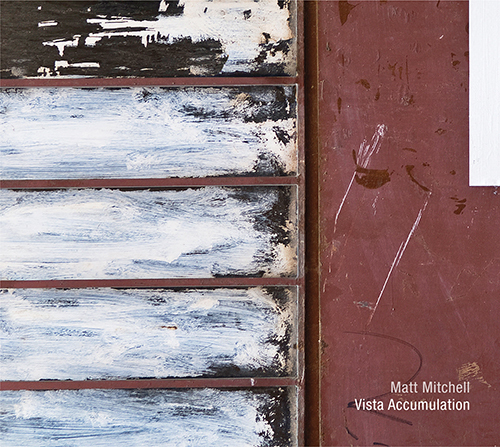 He then gives way to Mitchell whose wonderful splintered melodic lines lead to a classically-inspired journey. It's not until the 5-minute mark that Finlayson takes his solo. He builds it off the original melody (the guitarist and pianist playing counterpoint), continuing to refer to the phrases but moving away at the same time. Pounding drums then a funky beat give "Flank and Center" its direction with its percussive melody line split between piano and trumpet while the guitar offers a counterpoint. The clarity of each instrument stands out; the throbbing, deep, bass notes, the splashing cymbals, the roiling piano, the "clicking" guitar phrases, all support a forceful trumpet solo. The urgency of the early cuts is evident in "Cap vs. Nim" but there is a more "open" feel in the rhythm section and a more melodic approach in Mitchell's impressive piano accompaniment. Only in the latter stages of the trumpet solo does one notice the tension has risen. "Between Moves" opens with a guitar and bass duo, Okazaki strumming and picking while Hébert solos. Mitchell enters in support, with his bass notes setting the pace for the rest of the song. The bowed bass and piano continue with long tones as Finlayson enters and builds upon the piano chords. His solo moves easily over the band, often referring to and musically commenting on what is being played beneath him. The album closes with "Folk Song", the closest this program comes to a ballad. The other track over 10 minutes (10:48 to be precise), the music unfolds from the opening trumpet melody with a gentle insistence. Again, one can hear each member of the quintet quite clearly, the rhythm section pushing the soloists forward while Mitchell and Okazaki add commentary beneath. The pianist's quiet single-note runs and then solid chords support the guitar solo without overshadowing his circular phrases. 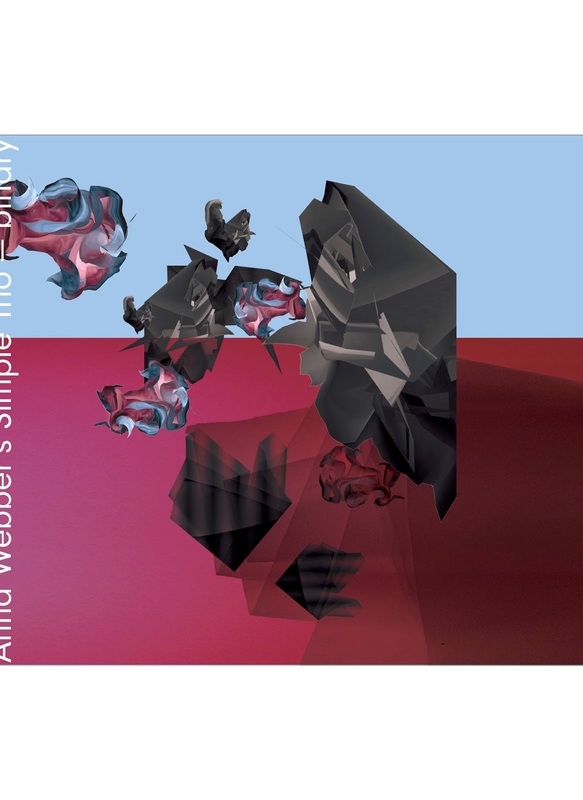 After a restatement of the opening theme, Weinrib steps out over the thick low notes of both piano and bass, raising the heat in the music, bringing the album to an exciting finish. The musicians refer to the opening melody but now there is power and fire in the quintet. "Moving Still" is an apt title to this album, especially as the music continues to reverberate after the final note is played. With a majority of the titles referring to chess, it puts the listener on notice to listen to how the band "moves" through the music and how the music moves through and out of the quintet. Jonathan Finlayson is more of a crafty than slick soloist while his compositions blend melody and rhythm (that's the Steve Coleman influence), interactions and solos, in the most fascinating. This group must be great fun to watch and listen to in a club or concert setting. In the meantime, this recording is a real treasure. For more information, go to jonathanfinlayson.com or pirecordings.com/album/pi67.